OLD PARKED CARS. 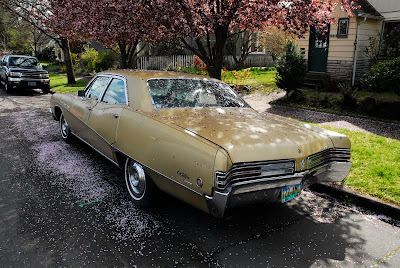 : 1968 Buick LeSabre 400 4 Door Hardtop. 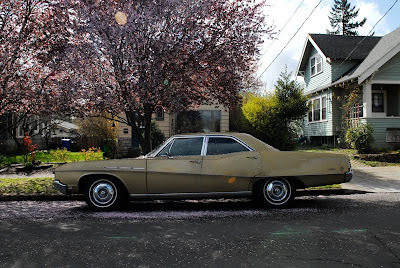 1968 Buick LeSabre 400 4 Door Hardtop. 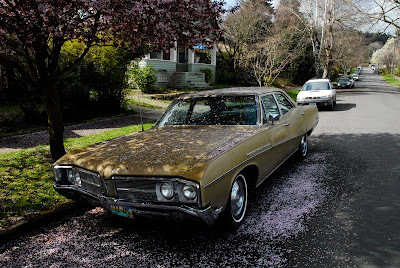 I just wanted to point out that this is NOT a Buick LeSabre 4 door hardtop. It is a 4 door SEDAN. i.e. has upper door frames. The center post is hidden by the upper door frames. 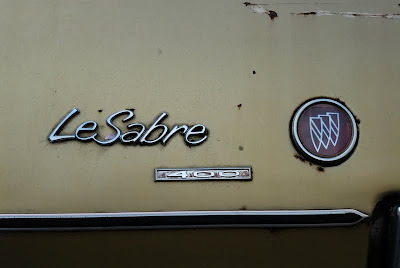 The "swoop spear" on the side was a Buick styling cue in the 60s and 70s. The ventiports were a Buick styling cue for decades, up until about 1980. Now I notice they are using them again on new Buicks. 1968 is one of those odd years where Buicks had a split grille. 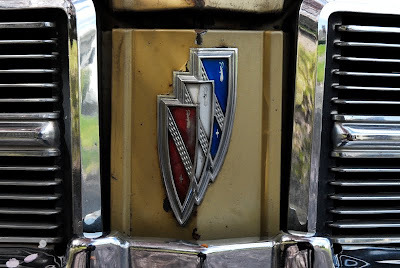 Usually Buicks had a full width grille and Oldsmobiles had split grilles. In the mid to late 60s they switched for some odd reason.